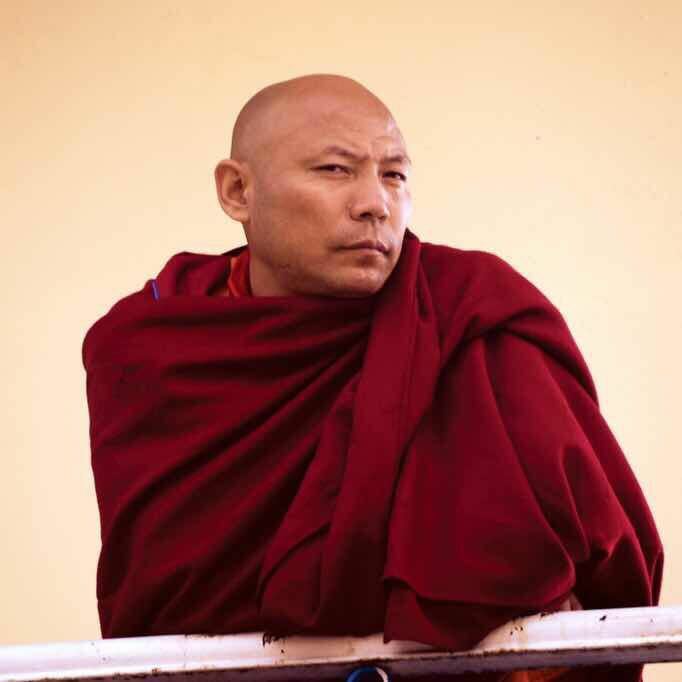 Khenpo Samdup was born in 1975 and he joined monastic life in 1986, starting to learn to write and read. In 1993 received lamdre teaching from Luding Khenchen and joined Dzongsar Shedra next year, finishing his studies in 2003. During his winter vacations he received many teachings from Sakya Trichen and Dagchen. He received his full ordination in 2008 from Luding Khenchen. He served as Tibetan grammar teacher in the Shedra from 1999 to 2001. Next two years he served as review teacher and from 2004 till 2017 as a full fledge Khenpo. Khenpo received his Khenpo degree from Sakya trichen in 2008 and was appointed as the abbot of Dzongsar Shedra in 2016 by Khyentse Rinpoche, the post which he currently holds.